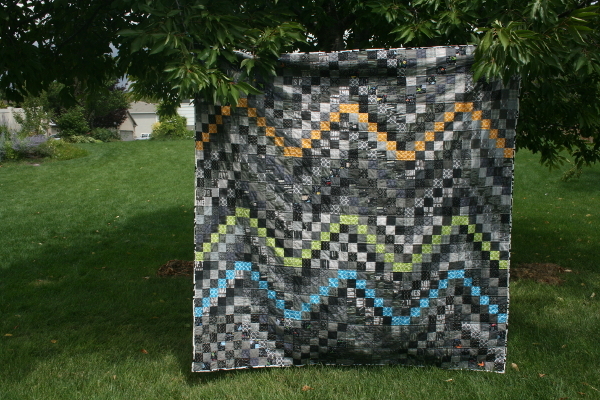 This is the last of the quilts I made for my kids last year. I had a special wish in my heart with this quilt. 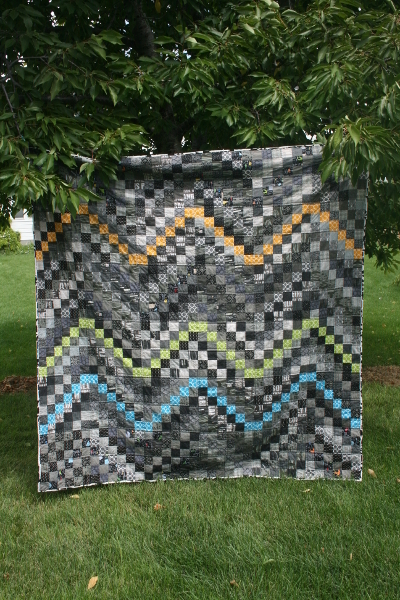 It belongs to my now 17-year-old son and I knew it might be the last quilt I make for him before he leaves home. I wanted it to be big enough for his six foot frame but I also had very little time to put it together. The other challenge I had was choosing a color scheme and fabrics for a kid who generally avoids a lot of color or pattern. I realized there was one area in his life, however, where color doesn’t bother him, and it’s in his snowboarding gear. 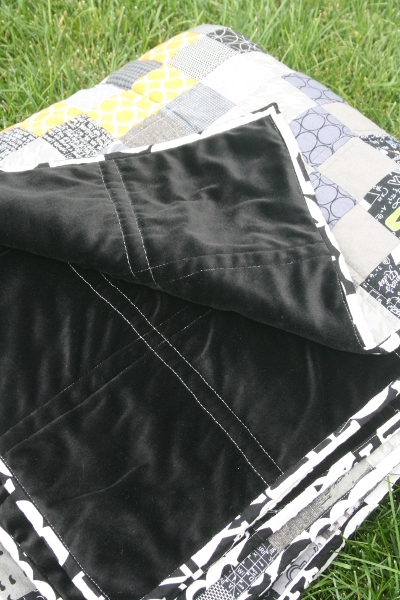 I took a cue from the colors he’s got in his gear and decided to make another scrappy trip quilt. This one looks completely different from the one I made earlier in 2013! 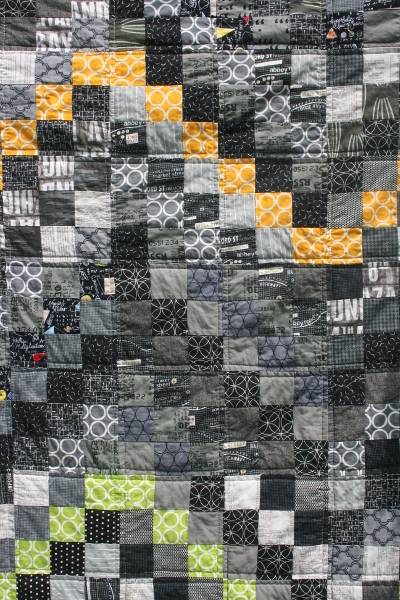 I used three different colors of metro rings fabric – lime green, orange, and turquoise, and a ton of black and gray fat quarters for all the other strips. The binding is a large black and white text print and I love how graphic it looks. It totally suits his style (and his art). The blocks are set in a chevron style which isn’t overpowering because half of the blocks have no color. It was a lot of fun to sew, and I think I met my goal. He likes it, it’s big and cozy, and it got finished in time for Christmas 2013. A year later, it’s still on his bed and seeing plenty of use.